You can change the colors and graphics that are displayed in each FX Chain. To do so, right-click the FX Chain property page and click Customize UI on the pop-up menu to open the Settings dialog box. Figure 387. 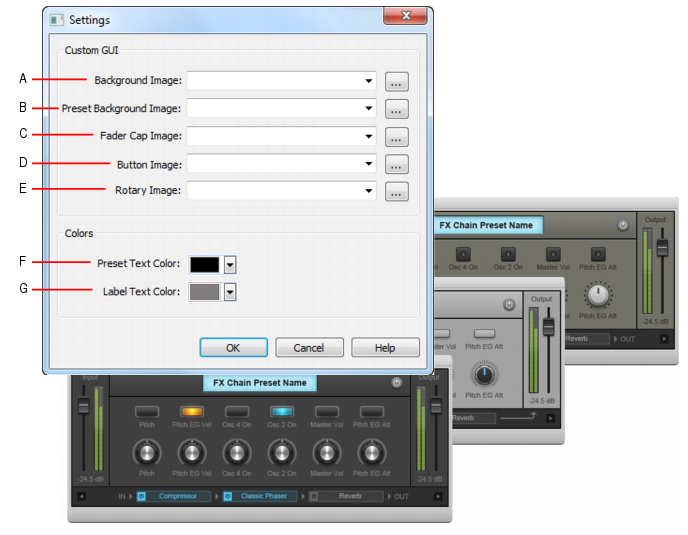 Use the Settings dialog box to customize the appearance of the FX Chain property page. Figure 388. 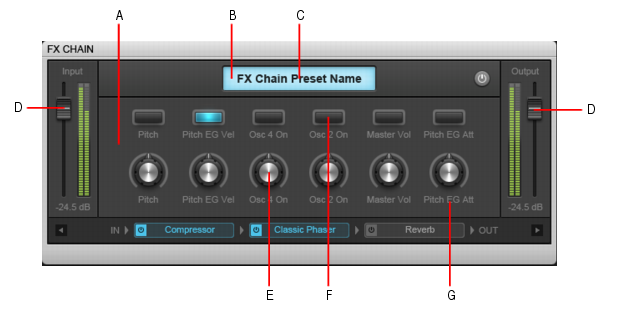 FX Chain UI. For details about the options in the Settings dialog, see Settings dialog.